Welcome to the October newsletter. As the season starts and we have more news and updates to tell you - the monthly email newsletter may become fortnightly and as always, we will update you of important information and news via social media. The full VAL calendar is now available online and you will also notice that the NSWAL carnivals are also listed. If you have never competed interstate, I highly recommend it, it is a great experience to have at least once in your professional running career - gather some friends and make the trip together! It is exciting to see that the Stawell 'lift' system for Open Gifts will now apply to the Women's Gifts plus there are some changes to the 550 and 800m races. Please take a moment to familiarise yourself with the changes and if you have any questions, do not hesitate to contact Tom in the office. Registrations and race entry into the Hastings Gift will open on Monday 22 October. Once we are confident with the traffic going through the site for Hastings, we will open the rest of the meetings for entry. Thank you for being patient with us! 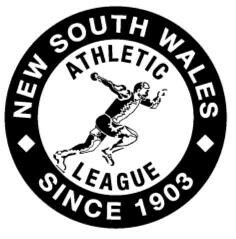 This season the VAL will be managing the registrations and race entries for the NSW Athletic League. 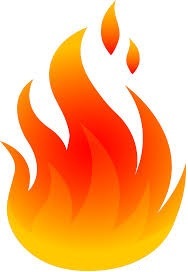 Meetings and race lists will be appearing along side the Victorian events on the VAL website. Entry into these events is the same for all athletes. To enter these events, all Victorian and Interstate athletes must be registered via the VAL website. Athletes outside Victoria (including NSW) must register as an Interstate Athlete. Victorian athletes do not have to register again to enter NSWAL races. The more entries and support we get for these races, the more we can encourage our clubs to include them on their race lists. The VAL will apply a handicap lift for the Stawell 800m Open and 550m Open to the athletes winning handicap for those distances/categories during the 2018-19 season. Lifts for Stawell to be a minimum of 5m and up to a maximum of 10m. To be eligible, interstate athletes must have competed in Victoria in the previous 2 seasons, or have initial handicap of novice or less. Winning athletes cannot go past their ceiling handicap and cannot break net time. Athletes that are allocated a UP (Unacceptable Performance) during the season may not automatically qualify for the lift in the Stawell Gift. This will be at the stewards discretion. Every first time novice entry must have at least one run off the novice handicap or less. Athletes that win a Group 1 or Classic race after obtaining the Stawell Lift become ineligible for the lift. A second win over the 800m distance will deem the athlete ineligible for the lift. Lifts for Stawell to be a minimum of 3m and up to a maximum of 5m. A second win over the 550m distance will deem the athlete ineligible for the lift. Bendigo - Can retain winning mark for Stawell provided above ceiling time. Euora - non penalty for Stawell and no stawell lift. The VAL will apply a handicap lift for Open Stawell Gift and Women's Stawell Gift to the athletes winning handicap for the below races. The athlete must not break net time in the win. A second win over the 100/120m distance will deem the athlete ineligible for the lift. The lift will be added to the athletes winning handicap for the Stawell Gift races only. Standard penalties apply for all other races. In receiving this lift, athletes will not be handicapped to a mark that places them beyond their ceiling handicap. More information on ceiling times can be found within the Handicap Regulations. To be eligible for the lift, the athlete must not break the distance ceiling time in the win. A handicap lift that places the athlete under the ceiling target time will not be applied. An athlete will not receive a handicap that exceeds 2m from their season start mark. New Interstate male athletes must have competed at least once in Victoria from the novice handicap or less to be eligible for this lift. Interstate female athletes must have competed in a VAL event within the past 2 seasons or have an initial handicap of the novice mark or less. An win in an Open 100/120m race by a female excludes her from any lift in the Stawell Women's Gift. More information on ceiling and target times can be found in the VAL Handicapping Regulations. More race lists and prize money have been published on the VAL website. Check out all the race lists here. Castlemaine, Frankston, Ballarat and Doncaster are yet to be published and will be confirmed soon. All events will be handicapped which will give every runner a winning chance. How to enter? Fill in the ENTRY FORM and email it back to Mark Howard or contact on the number below. 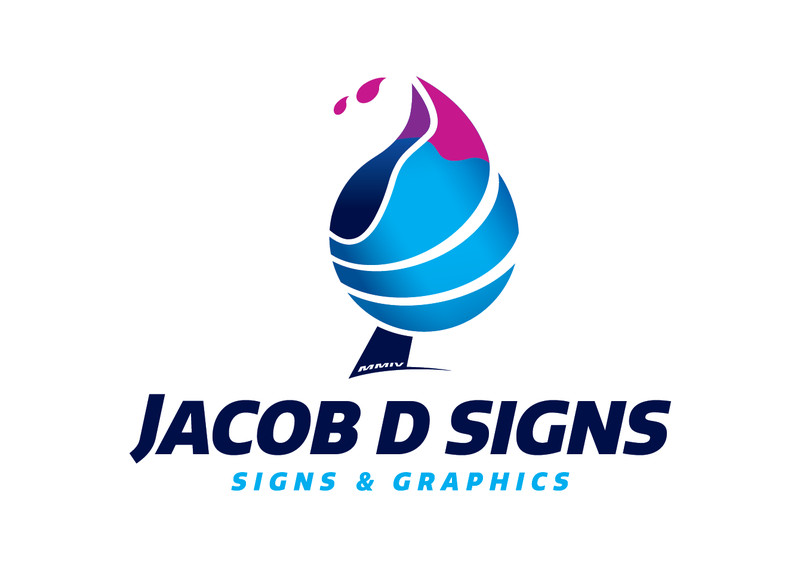 The VAL are proud to partner with Jacob D Signs for the 2018-19 season. Jacob D Signs will feature on the White finalist colours! 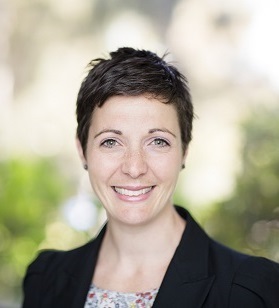 Jacob Densley and the Jacob D Signs team are based in Terang and work with clients across Victoria. They are skilled in Vehicle Graphics, Honour Boards, Window Graphics, A-Frames, Banners, Illuminated Signs, Stickers, Custom Whiteboards, Custom Wallpaper, Full Canvas Print Service. Logo, Stationery & Promotional Product Design. The List, which was approved by WADA’s Executive Committee (ExCo) on 20 September 2018, comes into force on 1 January 2019. 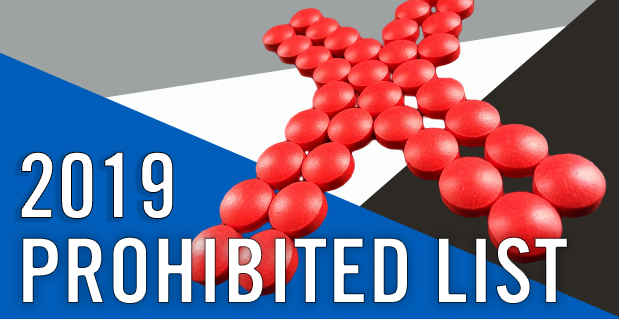 Click here to view the 2019 Prohibited Substances list. Higenamine on the radar ... again! and 2017 and is still a problem in Australian sport. Research into higenamine has shown that it can powerfully speed up the heart, putting an athlete at an increased risk of a stroke and/or heart attack. Because supplement manufacturing processes can lead to their contents varying from batch to batch, ASADA cannot give any specific supplement the all-clear. As well as reiterating the long-standing warning regarding supplement use in general, ASADA wishes to advise all Australian athletes subject to doping control to avoid using higenamine powder, and any supplements which list higenamine on their ingredient list. Also, be aware, higenamine has been found in a number of products where it has not been listed as an ingredient. As a result, ASADA maintains its warning for athletes on the risk of supplement use. 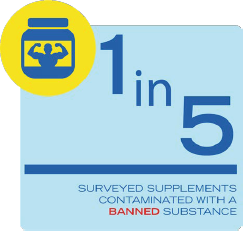 A recent survey found that of 67 common Australian supplements analysed, almost one in five contained banned substances. If athletes do choose to use supplements, to reduce the risk we recommend checking the supplement on the GlobalDRO website.